Ahly midfield duo Ahmed Fathi and Mohamed Nagy ‘Gedo’ have finalized six-moth loan deals to join English Championship side Hull City. “Ahly reached an agreement with Hull city to loan out Fathi and Gedo for six months,” Football Director Sayed Abdel-Hafiz said Wednesda, revealing the 500,000 British pounds offer. Hull City are fighting for an automatic qualification for the Premier League as they are third of the table with 50 points, seven adrift of leaders Cardiff City. The Chairman of Hull City, Egyptian businessman Assem Allam, has visited Ahly last summer and agreed on a partnership between both clubs. The Egyptian Premier League is due to resume on 2 February after a year-long break following the Port Said disaster that left more than 70 dead and hundreds injured. However, it is possible to cancel the new season too due to ongoing turmoil in the country following the case verdict. 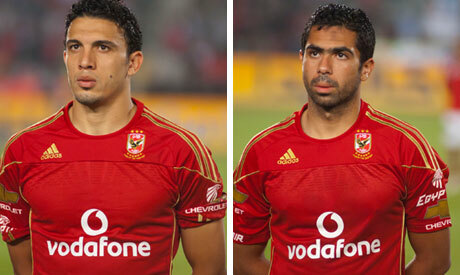 Former Zamalek striker Amr Zaki and Egypt winger Ahmed Elmohamady had loan spells with Hull during the past few years.